In the previous post one of the points I mentioned about how to go through unfamiliar territory was having faith. Having faith is trusting God’s faithfulness everything is going to be alright even when you don’t really know what will happen along the way. Things will not always turn out the way you want them to because God has a plan and purpose for everything that happens in your life. Everything should work to bring glory to His Name. Having faith in God means having total reliance on God for whatever you are believing for according to His will; to show you how mighty He is. He wants you to realize that without Him you cannot be all that He intends for you to be. 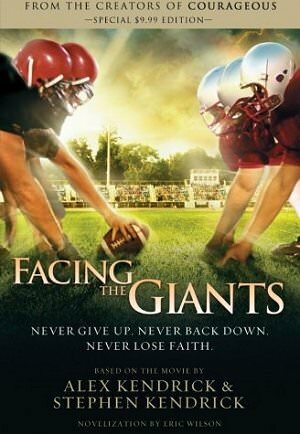 I am reminded of a movie I first watched some years ago called, “Facing the Giants” that is centered on the subject of faith. It is the story of a college football coach, Grant Taylor, whose life is upside down and desperately needs God’s intervention. His team, The Shiloh Eagles, has a terrible losing record with many of the parents calling for him to be fired. He and his wife are failing to have kids after several attempts, his car constantly breaks down and all the negative energy begins to overwhelm him. To make matters worse one of his own companions is secretly working against him in his coaching duties and turns out to be the dagger through his heart that causes him to break down in agony and despair. The key to the turnaround in his life comes when he surrenders his will to the Lord and acknowledges that he cannot do anything in his own strength. It is a very humbling experience for him but also very refreshing as he comes to realize. Nothing changes instantly but an encounter with an old man that gives him wise words of counsel begin the cycle of change in his life. Grant begins to seek the Lord diligently in everything that he does with his life. He also begins to share his faith with the people closest to him – his wife, coaching assistants and his team. With every seemingly insurmountable obstacle that He encounters God shows Himself mighty on his behalf. As a result of his faith he does what God has called him to do and begins to see miracles happening in all areas of his life. Even the most impossible of things he could think of become realities and all of them point to the goodness of God. Perhaps you are in a situation where you are facing ‘giants’ in your own life and don’t think you can do anything about them. I urge you to watch this movie; it’s nicer with friends and family. 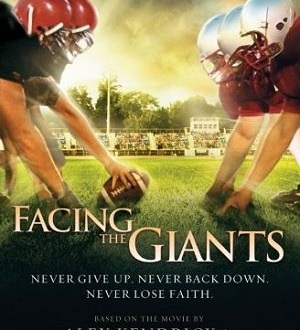 It will truly inspire you to face your fears and stand on the Word of God to overcome them. Remember to share this post with your friends as well as using the social buttons on the page to share the message. If you have watched the movie please share your comments below and let us know what it taught you and how your life has changed.